So, Bernie was asked ( yesterday BBC) who deserves the title this year ? This is so unfair, he was at a neighbourhood school just 25 mins away from me! Just a cycling distance away. Damn, missed him. What the heck has Alonso to do here? Wrong thread. Very very wrong thread. How long until we see some PR photos of him in Merc gear? 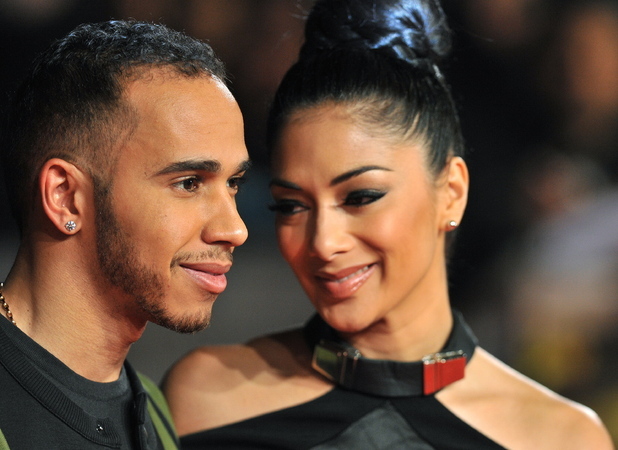 I think a couple of weeks after his Mclaren contract ends proper, so around mid Jan.
i think lewis will have a good 2013. the circuits he is strong at you never know he might win. Interesting how he is still doing PR commitments for McLaren (He is currently in Asia) when does his contract officially run out? Respect: Eyebrow man, Schumi and finally after three long years Sebastian Vettel. Fairplay to the guy he is quick! Officially ends on December 31st, starts at Merc on Jan 1st. I'm pretty sure when Button moved to Macca a photo of him in their team gear appeared on his first day. It wouldn't surprise me to see something similar with this move. Last edited by Emerson.F on Sat Dec 08, 2012 3:40 pm, edited 1 time in total. The British Formula One racer admitted that moving on from a team he spent 14 years with has its challenges. Can't wait for Hamilton to jump in the Mercedes, definition of an exciting F1 race is making Lewis start from the middle of the pack and smash his way through. I still blame Button too! But lets not get too into that one haha! Lewis Hamilton's luck continues, 2014 changes which hopefully would of seen Mercedes at the top once again have been scrapped. But there is still the new engines and kers to come. It seriously won't make that big of a difference in performance between teams i don't think, it will still be an aero dominated sport. That's the FIA, can't rely on them always screwing with the teams and sport. Merc should really focus on the present (like next year etc etc) instead of looking 2-3 years down the line when the FIA likes to change it's mind/rules at will. It's a risky strategy. Dammit, he was at some school near my residence!! And he didnt even say he was arriving! Part of me hopes Hamilton drives the wheels off that merc next year cause he should've won the championship this year and missed out mainly due to mclarens unreliability. Yes the twitter stuff was stupid and immature but nobody can question that the guy is top quality and hopefully next year he has better luck although merc will have to pull their fingers out of their donkeys to produce a better car. with or without rule changes all brawn has to do is give lewis a car capable for wins and the championship. i don't think they can produce a car like redbull or mclaren, but if they make a car similar to the lotus in performance wise, lewis will be a contender. Lewis is in Malta for the day, came for a charity event. Apparently it's his last run in a McLaren. My first time seeing and hearing an F1 car in real life. it's unbelievable, the speed, the sound and the attention to detail. Lewis was great and said a couple of words in Maltese which seemed to win everyone (including me) over. I respectfully disagree. KERS will be doubled in power, and the capacity will be increased. They will be able to use it a lot more. And with HERS, it will allow the engineers to tailor the engine to deliver more driveable power. All these systems need to be integrated into a transparent and efficient manner to maximize the potential of the car. When KERS was first introduced Mercedes had the most reliable and effective system compared to the rest, demonstrating that they are very good at this engineering discipline. I believe that this was one selling point that helped sway Hamilton into signing with them, that come 2014 the Mercedes system will be reliable, effective, and the best of them all. It will be interesting ( for me anyway) to see who hamiltons engineer will be. Will it be ms engineer p bonnington and jock clear (jv old championship winning engineer) or will andy latham appear from maternity leave? Has anyone heard of any other mclaren team members following him to merc? Offseason is already boring. Lewis is back on twitter!